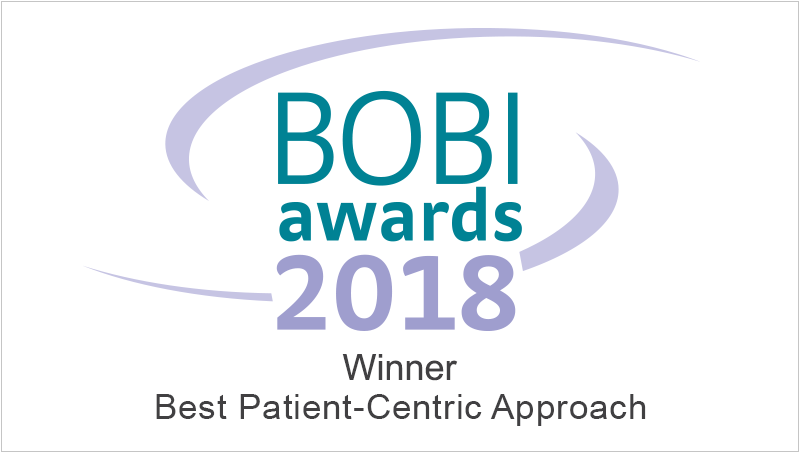 FORT WASHINGTON, PA (May 16, 2018) — M3 Global Research is honoured to announce that it has won a BHBIA Best of Business Intelligence (BOBI) Award in the panel-judged “Best Patient-Centric Approach” category; granted to a business intelligence project or approach which best focuses on putting patients at the core of decision-making. Achievement enough to be selected as the winner, M3 is further humbled to be the first fieldwork agency to receive such recognition. As part of the BHBIA Annual Conference, the 2017-18 Best of Business Intelligence (BOBI) awards (held annuallysince 2007) took place in London on Monday, 14 May. In the panel-judged ‘Best Patient-Centric Approach’ category, sponsored by Kudos Health, M3 Global Research, with Surrey Heartlands Health and Care Partnership was announced as the winner, after being shortlisted alongside strong submissions from The Earthworks Insights with Shield Therapeutics and Ipsos MORI with Almirall. The focus of this award is on the demonstration of true engagement with patients in understanding their needs, and learning first-hand about their experiences of living with a particular condition or disease. The judging panel also considered how the approach generated deep patient insight to aid decision-making. Additionally, there must be clear evidence of tangible impact in influencing a UK client’s patient-centric strategy. A collaborative effort between Tom Pugh and Hannah Brown of M3 Global Research and Richard Stockley of Surrey Heartlands Health and Care Partnership, the project demonstrated an innovative service redesign workshop, recruiting both patients and physicians to collaborate on services in the Surrey Heartlands region. This approach is transformational, demonstrating culture change within the NHS given the depth of consideration given to patients and their needs. Surrey Heartlands Health and Care Partnership approached M3 Global Research to support and professionalise a programme of research to inform a project co-designing treatment pathways inside the sustainability transformation partnership (STP) footprint which brought together the needs of ‘citizens’, clinicians, and stakeholders at all levels. Citizens include patients, residents, carers, and service users, as well as engaged stakeholder groups. M3 Global Research, with a very strong emphasis in the healthcare space, has historically focused on healthcare provider research, conducting global research studies and reaching physicians and ancillary care providers in 248 markets across 70 countries worldwide. Recognising the turning trend in healthcare to patient focus, M3 has worked diligently over the past several years to expand their offering to include access to patients and caregivers. This additional offering has grown organically as well as through acquisition. In addition to development of a patient panel and specialised recruitment services for patients, M3 recently acquired Wake Research, an integrated network of phase I – phase IV clinical trial investigational sites. This acquisition greatly complements the organic growth of M3 and the global reach for patients. Working in highly regulated industries, M3 maintains ISO 26362 and 27001 certifications, providing data collection and project management capabilities covering a broad spectrum of quantitative and qualitative techniques.